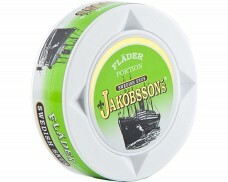 Jakobsson’s is made by manufacturer Gotlandssnus AB. 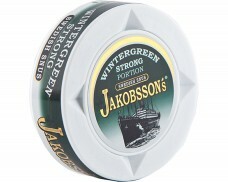 As a traditional company from Visby, Sweden, their most important value is providing high-quality snus. 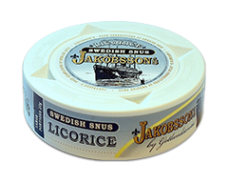 Their reputation as a premium snus company certainly played a role in the success of Jakobsson’s snus, which was launched in 2008. While the brand is a modern creation, the can reflects Gotlandssnus’ long tradition in snus. Vintage fonts decorate the can and four arrows indicate the four directions on the compass, reminding snus lovers of the company’s origins by the coast of the Swedish island of Gotland. 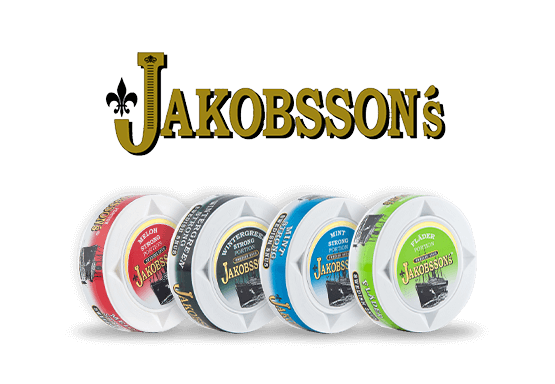 One might think the reminders of tradition on the can would indicate traditional flavors of intense tobacco, the opposite is the case: Jakobsson’s focuses on innovative flavors of recent years. 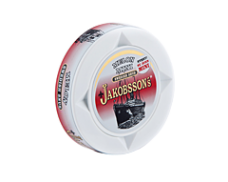 Few product lines offer as large a variety of flavors as Jakobsson’s. 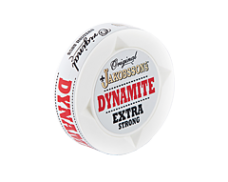 This brand is known for top quality snus in extraordinary and exciting flavors ranging from mint and melon, over wintergreen to elderflower and licorice. 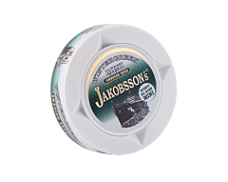 Jakobsson’s is keen on experimenting how new flavors are adapted by their fans and thus, regularly releases seasonal snus lines. You can be curious to see what’s next!